After a recent refurbishment, I was in the market for a mattress for my new bed. I always try to do my ‘research’ prior to a purchase, particularly one of such significance and expense. I sleep an average of 8 hours in a 24 hour period (more or less! ), which equates to 1/3 of my life spent in my bed. Now if I live until a fair old age of 90, that equates to 30 years (on average) spent on your chosen mattress of choice! Definitely not something to be frugal about. I saw an advertisement for eve mattresses on the London underground (several times), and have always been drawn to them. Positive advertisement? None-the-less, an online search returned favourable reviews. The price of a king size (EU) mattress was £700, and when compared directly with other more well-known brands, was not considerably more. One thing which often confuses me is the range of different types of mattresses available. Cheaper options all the way to high-end. Not to forget the plethora of different filling types. Eve have a single range, the only variation being size. Now this does seem to be a one size fits all business strategy, however, after reading several reviews and watching a number of videos, I was keen to try eve out. In no short part because they offer a 100-day trial period, which added to my peace of mind. I simply had nothing to lose. This is a very long overdue race report of the Bupa Great Birmingham Run from October 2014. For various reasons, I did not get around to writing a formal write-up of this event. I have thought about this event, somewhat critically, for a long while. I believe the reason I did not write a race report for this event was due to a somewhat bitter taste left in my mouth, reasons for which will become apparent as you read on. It is a race in which I, arguably, was at the peak of my running ability, ran the strongest and learned a lot about myself. Before I continue much further, I should add that 2014 was the year in which I began to run seriously. A few weeks before (5 to be precise) I had only just managed to break a sub-40 10k, and was absolutely elevated. I had no idea that within just 4 weeks, I would achieve a half-marathon PB of 1:23:39. This was a week before this race at the Oxford Half. Feeling stronger than ever, I was super excited about Birmingham. I first ran the Pride 10k last year. 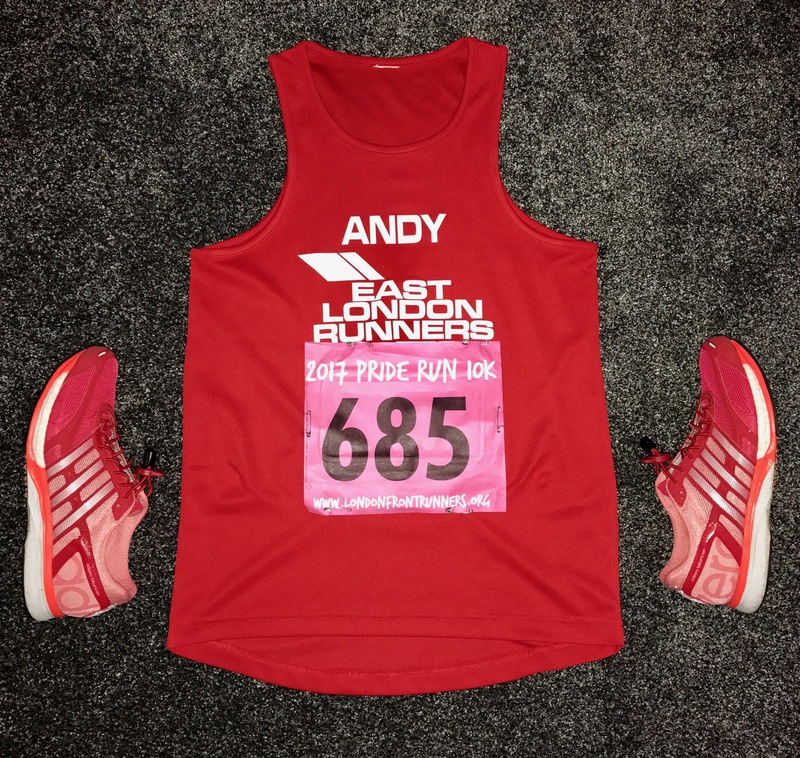 It is an event organised by London Front Runners, held every August. The race takes place in Victoria Park, and has become somewhat of a regular in my running diary, and I have already pencilled in the date for 2018. 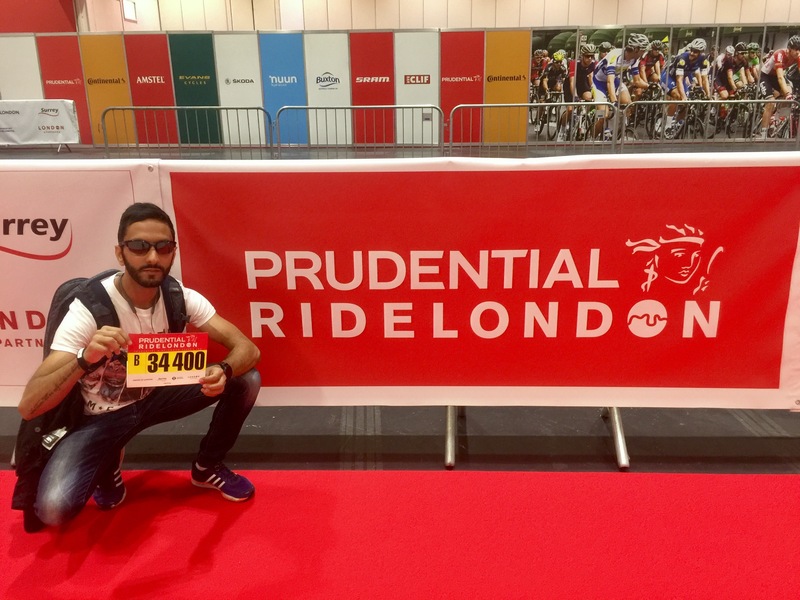 After yet again being unsuccessful in the Prudential RideLondon-Surrey 100 ballot, I was fortunate enough to secure a charity place with Crohn’s and Colitis UK. I was (and still am!) already raising money for this charity, which is very close to my heart, by running 2017km in 2017. You can read more about this on my just giving page here https://www.justgiving.com/fundraising/Andy-Kumar?utm_source=Facebook&utm_medium=fundraisingpage&utm_content=Andy-Kumar&utm_campaign=pfp-share. I approached them and asked if I may ride with their team on a charity place as I was already fundraising, to which they kindly agreed. So dismay was turned into happiness, and so began my journey! Finally home after a thoroughly enjoyable day. Having just run my 6th London 10,000 (the first in 2012), I can still say that this is one of the best 10km road races I have ever done. So how did things unfold today? Well, it all started with meeting Stuart ‘Stupot’ Barton (and family) at Woodford station. The plan was to take the 8:07 train, and pick-up ELR runners at stations en-route to Green Park. Quite a few familiar faces made an appearance on the carriage, and we arrived well in-time for our infamous ELR group picture. Wonder if this will make the paper!? Let’s hope our Maya Goodwin approves!